Are you trying to find data recovery UK specialists? No matter you are in charge of a business, working for the government or teaching in the faculty in the UK, you may realize there's nothing more irritating than data loss. Anyway, is it the smart choice for hiring data recovery UK specialists? First, let's take a look at how specialists do to recover lost files. 1. Hard disk logical fault: Accidentally deletion, formatting, virus or Trojan attack, and partition lost, etc. 2. Hard disk physical malfunction: Bad disk sector or firmware damaged. Data recovery UK specialists will use appropriate technical methods to recover missing data. Some specialists may offer door-to-door service, some might want you to send hard drive to them or you have to wait in the queue while staying in their shops. It is not difficult to find that the time cost of selecting data recovery UK specialists will probably be higher, and all you need to do is stop all work in your hand and await them to finish the recovery. Therefore, would you know there is a best data retrieval program alternative to data recovery UK specialists? I would like to present you the Bitwar Data Recovery software, no need tech skills and with few mouse clicks, you can get back data on your own! 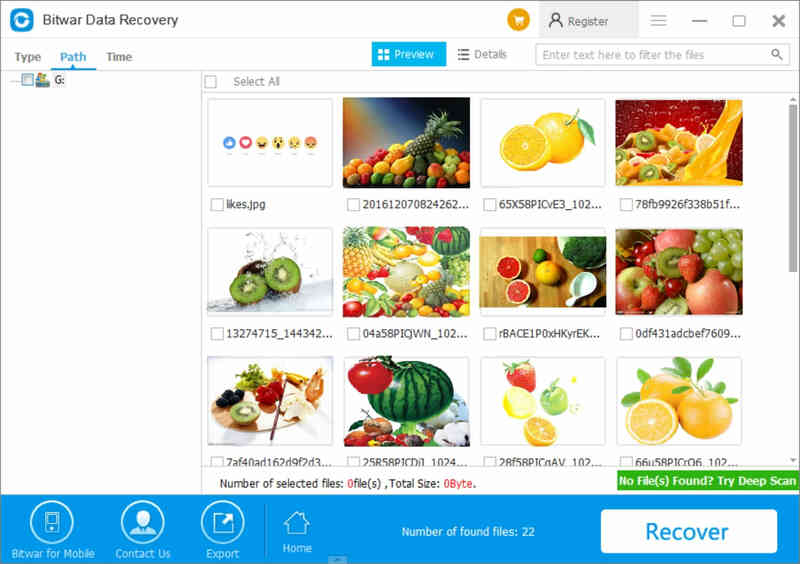 Step-by-Step Guide on How to Recover lost files By Bitwar Data Recovery. Don't do any operation on the hard drive after data loss, such as downloading and installing the applications in the same partition where you have lost files to prevent permanent data loss. 3. Select the file types then recover. You may choose the partition or device that need to recover lost files and click on Next. Step 2. Choose the scanning mode that you want. Quick Scan means you are able to scan your lost files fast with complete file name, original file folder structure, file path and last modification time. It is the best way to offer extremely quick speed to recover lost files. Step 3. No need to hire data recovery UK specialists, recover lost data on your own. You can choose one or more file types you desire, if you don't know which one needs to choose, then select all file types and hit Scan, once the data recovery software scanning procedure is completed, you can begin to preview media, audio, image/photo, documents and archive files before retrieval. To recover lost files, double-click each record in the results window to check the document and hit Recover button that is below the preview area. Save information to the path that you need but not to the same drive where you have lost files. Then you will complete the recovery procedure by yourself without data recovery UK specialists. Deep Scan will be another option for you to if you couldn't found lost files when Quick Scan process completed. The application will search every sector on your hard drive and then show you the results without file name. The time depends on the files have to be scanned. Formatted Recovery is applying for logical error that you have formatted the entire disk or a single partition; sometimes we might have an alert message from Windows: "you may need to format the disk in drive before you can use it " We followed closely the message and wrongly formatted the drive. Bitwar Data Recovery is a 30-day free trial software; you could use the software freely to recover lost files in 30 days and with no hidden fees or function limits. Compare hiring data recovery UK specialists; normally they charge $1 per 1 GB, Bitwar Data Recovery merely charges you $49 for the annual license fee and $99 for permanent usage. Summary：Bitwar Data Recovery will solve recover lost files from a deleted partition or lost partition problem and can retrieve all file types such as images, videos, etc. Next：How can you recover hard drive data after format? Summary：Bitwar data recovery can help you to recover files from a formatted hard drive and compatible with all the versions of Windows or MAC system.